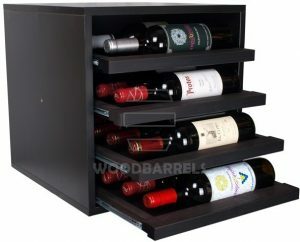 Modular rack for storing display or 4 references with 6 bottles each, made of soft type melamine board black, black edge of PVC, inside incorporates aluminum rods 9 to the separation of the four references, we cube form can place them in several positions and combine them with other minis (MALBEC, MONASTRELL, MERLOT) and the modular MALVASIA Super and MACABEO. 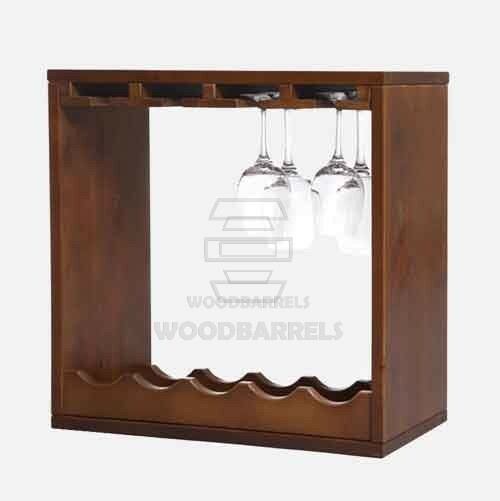 Bottle rack made with board laminated, dyed in color clear oak, with interior arms to classify the wines, with 2 lateral handles in order that it could fulfill also other functions of movement and storage. 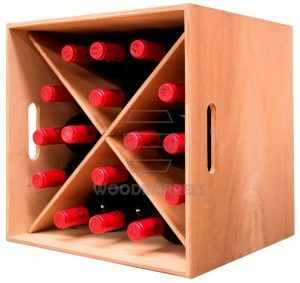 Capacity for 16 bottles. Measured 38*38*38 cm. 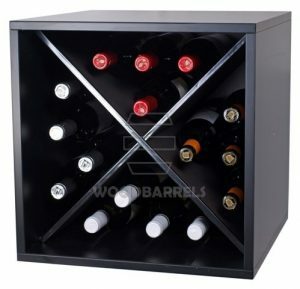 CUBE Mini Mod MONASTRELL for 16 bottles, made of melamine board type soft black PVC edges colored black, has two divisions cross reference to store 4 4 bottles each, the cube (42x42x42 cm) allows us to place in various positions and be able to combine with mini models Malbec and Syrah, is modular and can be assembled together vertically and horizontally. 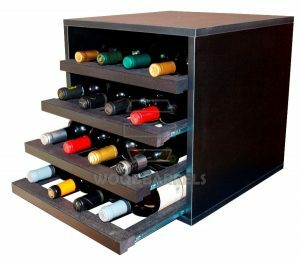 MERLOT mini modular cube model to 16 bottles, made of black melamine type board with soft, black colored PVC edges, features 4 removable shelves provide us easily identify our wines, this model can be combined with other cubes (Monastrell, Syrah and Malbec).